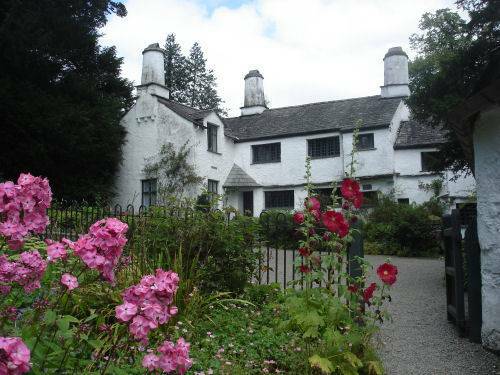 The characterful and historic slate village of Troutbeck, three miles from the town of Ambleside, is situated on the western hillside of the beautiful Troutbeck valley. There are a number of seventeenth and eighteenth century farms in the village. 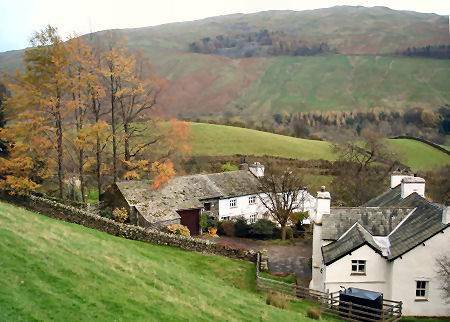 Due to the ammount of buildings of character that exist there, Troutbeck was appointed a Conservation Area in 1981 by the Lake District Special Planning Board. The church, bearing the unusual name of Jesus Church, is somewhat detached from the rest of the village, standing solitary in the valley below. The building dates from 1736, and was restored in 1861. 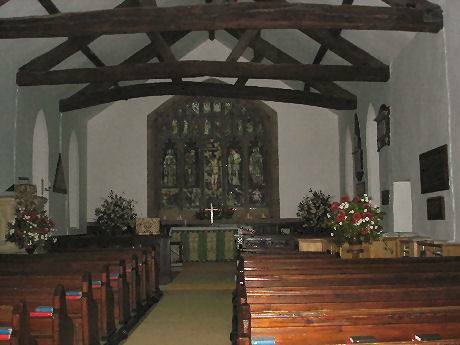 It was built on the site of a earlier fifteenth century chapel. The glass in the large and distinctive East window was mostly designed by Sir Edward Burne-Jones and made by William Morris and Co. William Morris himself designed the distinctive trademark greenery in the window. 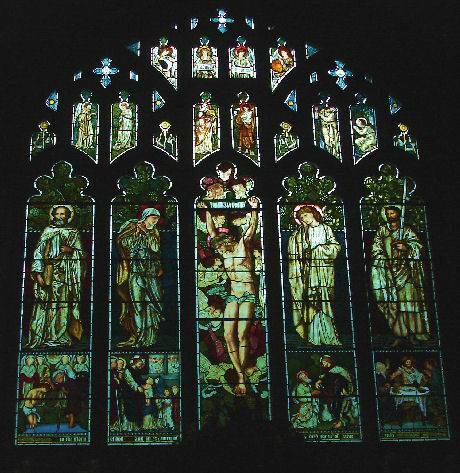 Burne-Jones was also responsible for the design of one of the windows in the nave. The area outside the Queens Head Inn at Troutbeck was once used as a rest and watering place for the worn out, thirsty horses hauling wagons to the summit of the nearby austere Kirkstone Pass. The annual village mayor-making ceremony is now held at the inn. The ceremony dates from 1780, when a 'Hunting Mayor' was annually elected. 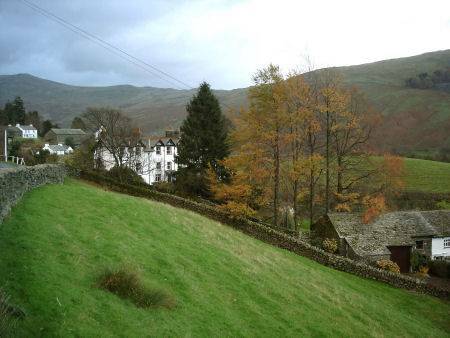 The tradition was once widespread in Cumbria, but is still kept alive at Troutbeck. 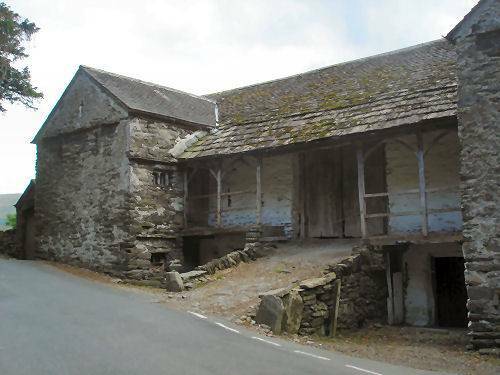 At the southern fringes of Troutbeck village lies Townend, a white washed farmhouse with mullioned windows built in the seventeenth century and passed down through eleven generations of the Browne family. Since 1947, the house has been owned by the National Trust. 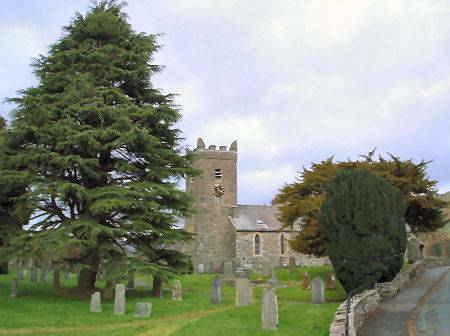 Townend has the tall towering chimneys which are characteristic of the local architecture. It was divided into two sections, one for living and one for work, and still retains much of its original oak furniture, carved woodwork, books, papers, and fascinating domestic implements largely accumulated by its former owners, the Browne family. There is also a living history exhibition at the house were visitors can meet "George Browne" (c1900) who relates the story of the house and its inhabitants. Across the road stands a characterful old slate barn. The children's author Beatrix Potter was once a resident of the village. 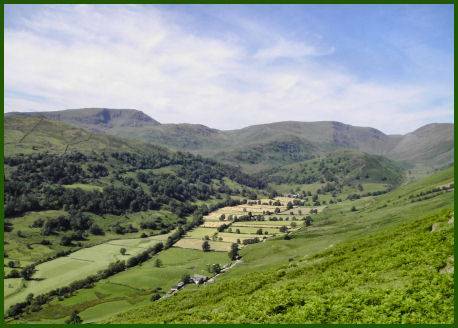 She lived at Troutbeck Park Farm, where she bred Herdwick sheep.The farm is now in the care of the National Trust.